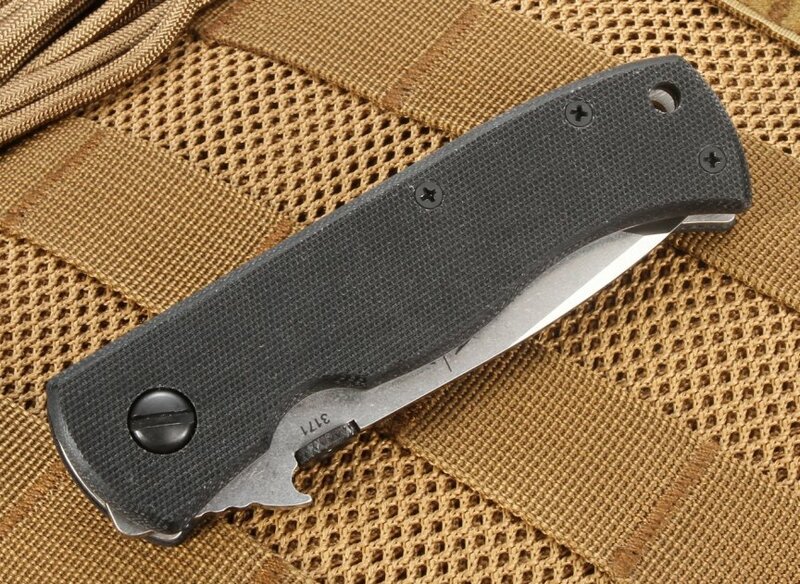 Another addition to Emerson's Close Quarters Combat line-up, the Mini CQC-7BW SF is a beastly tactical folder designed for comfortable and simple everyday pocket carry. With its 2.75-inch 154 CM stainless steel blade, the Mini CQC-7BW SF falls into the range of legal blade lengths for areas requiring blades less than 3 inches. 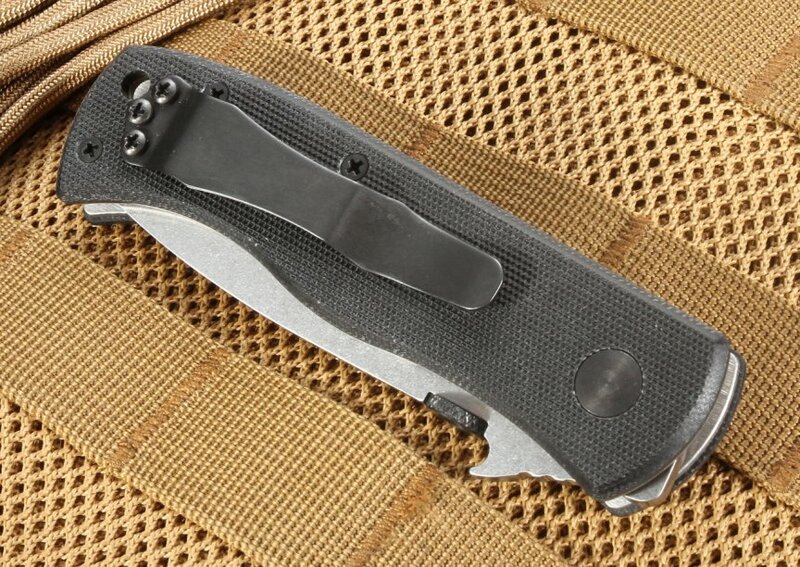 The chisel grind and tanto blade shape set the standard for heavy-use tactical folders, and the Mini CQC-7BW SF packs a lot of punch into its small blade. Boasting an RC rating of 57-59, the blade provides an excellent balance between toughness and hardness. The blade sharpens easily to a razor-like edge and offers exceptional edge retention, even when faced with heavy use. 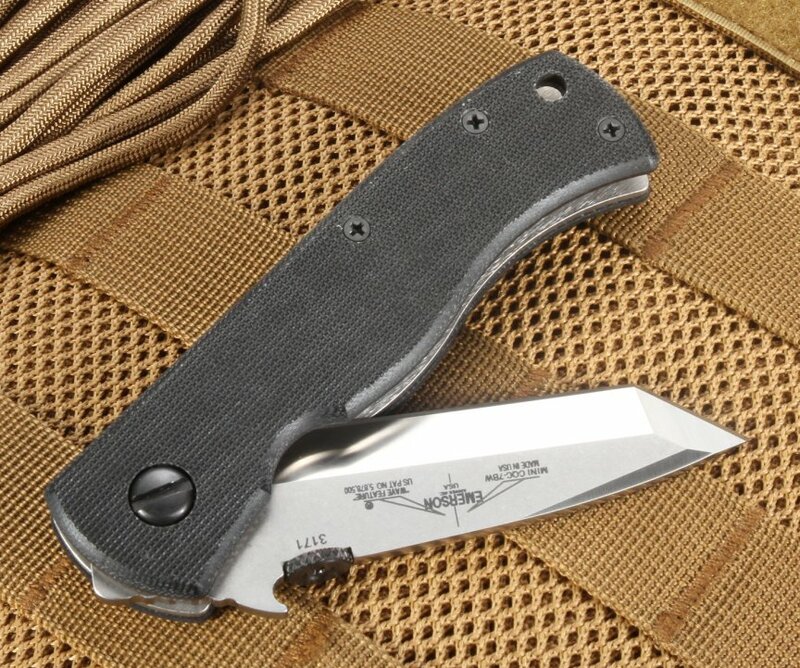 The Mini CQC-7BW SF's blade is stonewashed and satin finished to provide extra resistance to wear and corrosion. Packed into its textured black G-10 handle are aerospace-grade titanium liners, providing the knife with extreme durability and offering an unparalleled grip and blade control while the knife is in use. The sturdy titanium liner lock keeps the blade in place and prevents any slippage or accidental closing. Featuring both an ambidextrous thumb disc and Emerson's patented wave open feature, the Mini CQC-7BW SF is ready at a moments' notice, allowing the knife to be drawn and the blade deployed in a single quick motion. Black spacer pins add to the durability of the knife without adding excess weight, keeping the Mini CQC-7BW SF lightweight and compact enough for comfortable everyday carry. A black pocket clip is mounted for blade tip-up carry to complement the knife's wave opening feature. As an edged-weapons expert with many years as a martial artist, Ernest Emerson knows what makes the perfect tactical and combat knife. His work has been featured and exhibited at the Metropolitan Museum of Art and the Smithsonian Museum, a rare achievement for a knife maker and a testament to his dedication to crafting beautiful knives. All Emerson knives are made in the United States with a commitment to quality and craftsmanship. 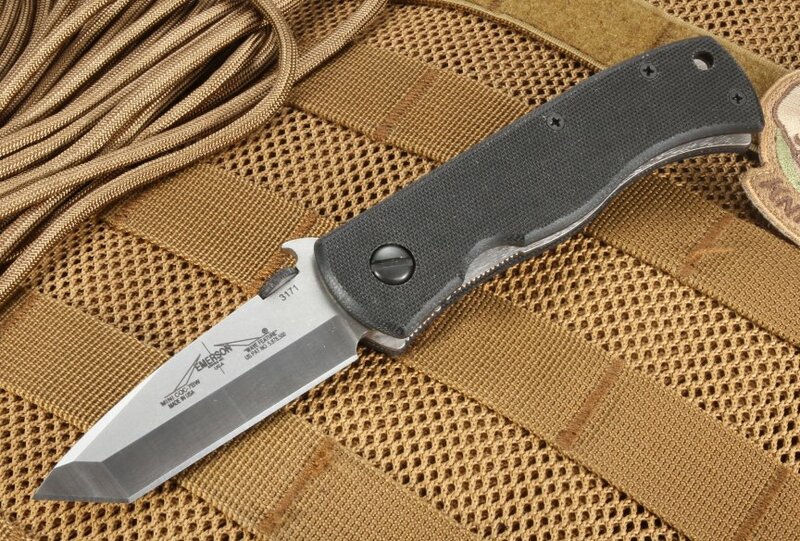 As an authorized Emerson Knives dealer, KnifeArt.com offers the Mini CQC-7BW SF backed by out full satisfaction guarantee, hassle-free return policy, and fast, free domestic shipping on orders over $150. 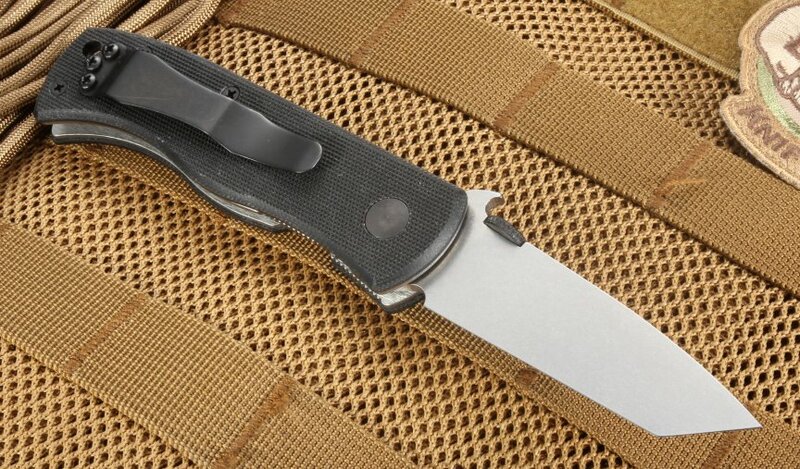 Add the Mini CQC-7BW SF to your tactical everyday carry options today!